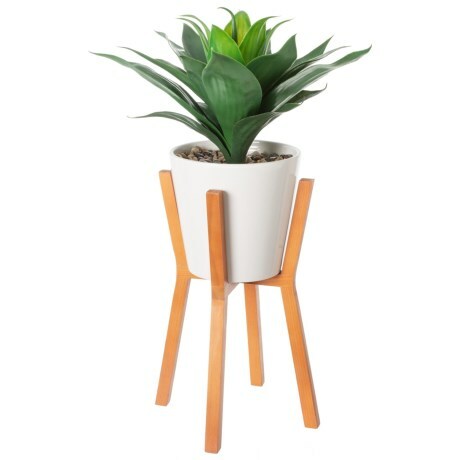 Aloe in Ceramic Pot with Wooden Stand - 26? CLOSEOUTS. Add nature-inspired decor to living spaces with Sienna Floral Accentsand#39; Aloe in a Ceramic Pot with a Wooden Stand. Available Colors: WHITE.